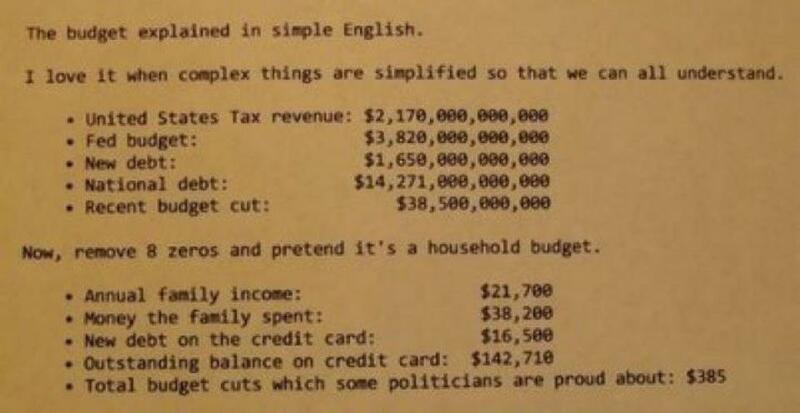 This simplification of the US budget cut is kind of funny. You’ve got to love the statement at the top, “I love it when complex things are simplified so that we can all understand”. Anyway, read this quick little outline of the budget cuts and you’ll be amazed how you look at it when it’s simplified!